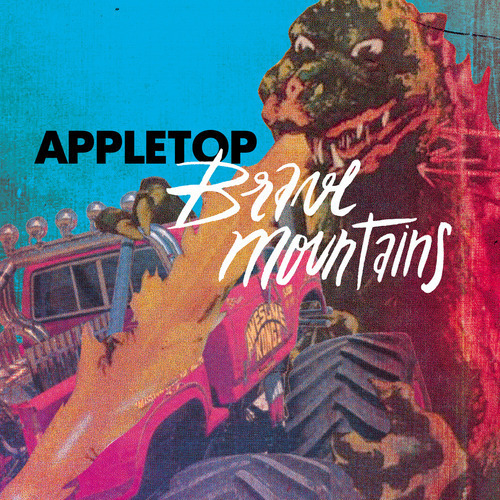 Appletop // Brave Mountains Released Today! Available on CD, LP and digital download. Pierre Cristofari, Olivier Cancellieri and Nicolas Faou formed Appletop in Hyères, France in 2008. Since then they’ve released a clutch of EPs in their native land, and a well-received debut album, The City Can Wait via Parisien label Le Son du Maquis/Harmonia Mundi in 2010. Hereafter the band took to the winding roads of Europe, clocking in hundreds of shows and notching up tour supports with such indie-stalwarts as The Thermals, Wild Flag and The Horrors. 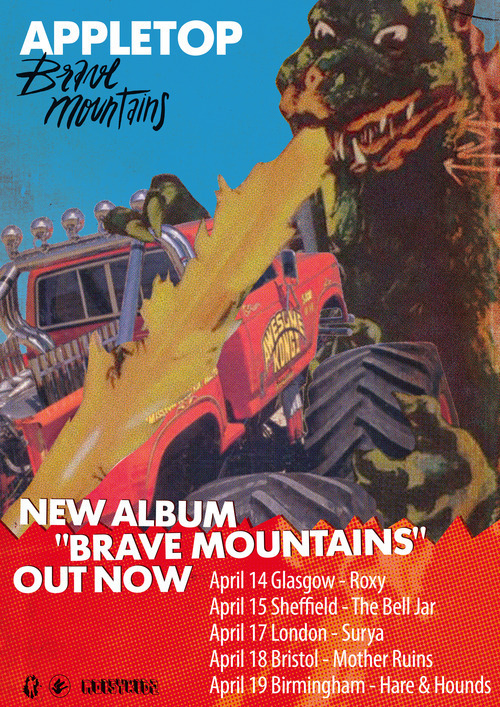 Two years in the making, Brave Mountains is Appletop’s first album release on UK soil, and we’re very glad to have them join the Armellodie fold to do so. They write the sort of songs you would want to end a summer festival with, punching-the-air with the orange sun setting in the background. Cristofari’s charmingly curious phrasing – singing in his second language after all – echoing out from the stage. “It’s the same old story, told a hundred times” sings Cristofari on enticing opener, ‘Headstrong’. And maybe it is, but Appletop succeed by digging under the surface of their beloved idols – think Sebadoh, Pavement, Teenage Fanclub – and hit you warm in the gut with fuzzed up guitars, pared back production values and stick-to-your-ribs melodies. 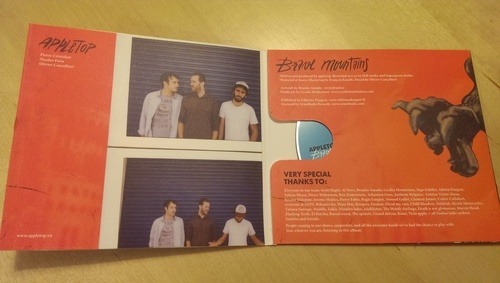 You can pick up Brave Mountains from today in all good record shops and download places. You can get it direct from us too, on CD or download right here. Vinyl enthusiasts have no fear, our chums at A Quick One Records are pressing it up. You can purchase that from here. Having already received great support from BBC 6 Music with Huey Morgan, Tom Ravenscroft and Gideon Coe all showering the band with praise and repeat plays. The band are heading to the UK next month to celebrate the release with 1-2-3-4-5 sure-to-be-rocking dates. Mark your diaries!